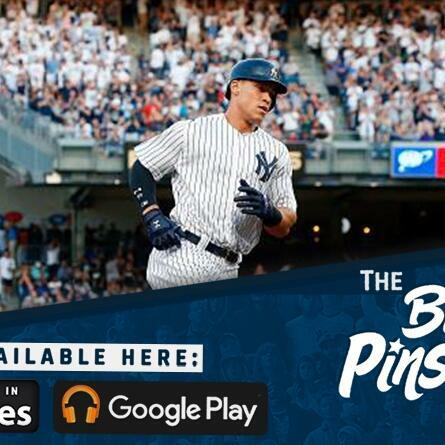 The Bronx Pinstripes Show #146: THANK YOU to everyone who came out to the Bronx Pinstripes event on Saturday. It was an amazing time and we definitely plan to have more in the future. We recap the event, the electricity in the stands, and thank all the people who made the event possible. Yankees topics include: Gary Sanchez' ownership of David Price, improvements Gary can make behind the plate, Aaron Judge leading the AL in the Triple Crown categories, Jordan Montgomery's evolution, the Yankees first base situation, and if we're fully buying this version of Aaron Hicks. Mailbag questions about Joe Girardi's bullpen management and playoff (yes, playoff) rotation. We end the show with listener voicemails. Submit mailbag questions at: bronxpinstripes.com/podcast. Call the voicemail line to be featured on Monday’s episode: 646-480-0342. If you enjoy the podcast, please leave us a rating and review.